Meghan Markle has been nominated for a Teen Choice Award—specifically, a Choice Style Icon award. Her competitors are Blake Lively, Harry Styles, Chadwick Boseman, Zendaya and Migos. Finally, a REAL honor! “Meghan Markle has been nominated for the Choice Style Icon award at the 2018 Teen Choice Awards, making her the first royal to ever be considered for an honor at FOX’s annual ceremony,” reported Page Six, which added that, “Markle is highly unlikely to attend” the ceremony on August 12, but teens and those pretending to be teens can vote for Markle on this website, anyway. Really the most hilarious outcome here is that Markle wins and enraged Harry Styles fans get so into republicanism en masse that they dismantle the monarchy. 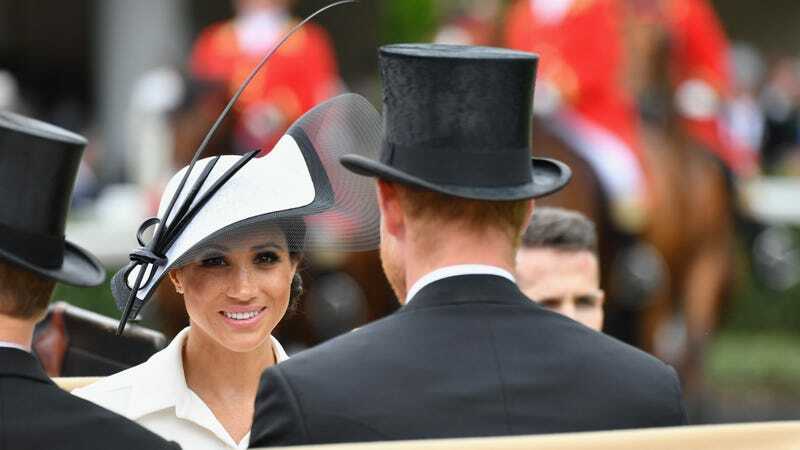 That, and if so many teens start dressing like Windsors that American proms begin to look like Royal Ascot.